For many of us lash lushes, the hunt for the best eyelash curlers is an ongoing event. It's almost a compulsion, propelled by the desire to find the perfect - the ultimate - eyelash curler. And who can blame us? 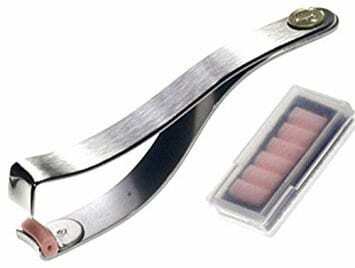 Lash curlers are a beauty must have, an absolutely essential tool in your beauty arsenal. 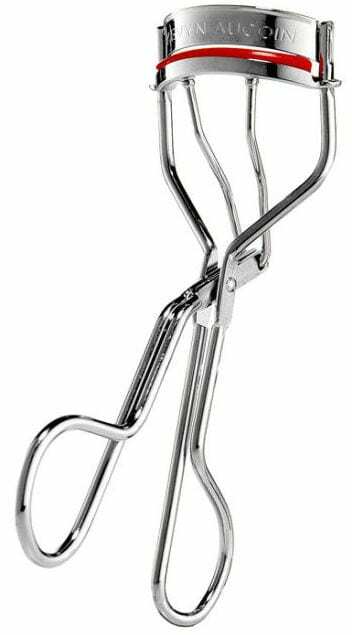 So simple and yet so significant, the eyelash curler is one beauty tool that goes with every look. Want to nail that effortlessly beautiful "no make up" make up look? A few seconds with a curler will instantly open up your eyes, making you appear doe-eyed, fresh and energized without a sip of caffeine. Going out for the night and want a dramatic makeup look? Your trusty curler's got you covered, helping you add that finishing flair that allows your lashes to look like falsies - without the hassle. Armed with the right lash curler, you can instantly open up the eyes, make your lashes look fuller and longer, and transform plain, unmemorable eyes into a gaze that commands attention. 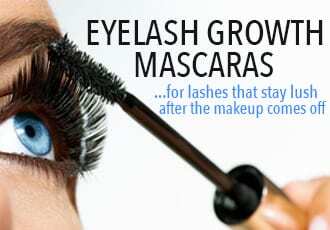 No wonder so many lash lovers insist that the lash curler is even more important than mascara! But not all lash curlers can give you all these lash-lengthening, eye-opening benefits - they only apply if you choose the right lash curler. Obviously, we only want the good stuff to happen to you. Which is why we've selected the best of the best eyelash curlers to get your curve on - without the mishaps. Read on to find out the pros and cons of each lash curler, who it's best for and what you can expect! Who it's best for: Those with rounder - read: big and wide - eyes. May not be the best for smaller eyes as it has more of a curve. Two words: gentle giant. 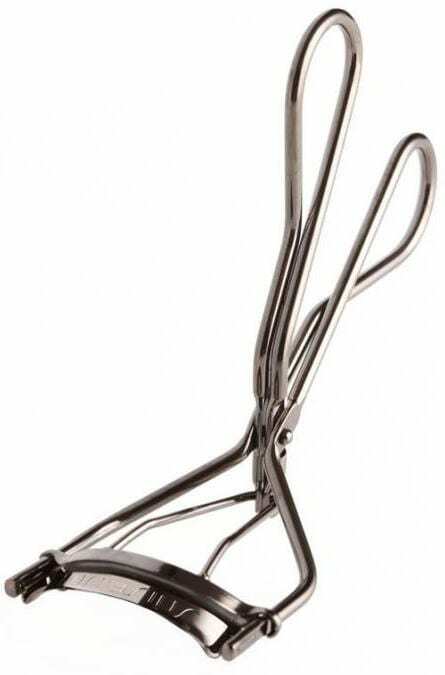 This lash curler is the perfect combination of gentle comfort and strength. It swaps out the traditional rubber typically used on 'clamp'-style curlers for a silicone pad that's firmer, rounder and a lot more kind to your lashes. But it's not just gentle niceness - this curler gets sh*t done. And that's the most impressive part - there's no need for firm clamp-and-holds to get a curl. A few short pumps and you get beautifully dramatic yet natural-looking curls that hold, even after you apply a layer or two of mascara. And although this curler packs a punch, what it lacks is the pinch - thanks to the wide, softly curved design, it's much less likely to pinch your tender eyelids while it's a lot more likely to be able to get the lashes at the corners of your eyes. Thanks to the firm silicone pad, curls come out looking natural, like you were born that way. None of those crappy L-shaped crimps with this one. Very, very pinch-less. This curler has the huge - or rather, wide - advantage of opening wider than your average curler, which means there's a lot less risk of it clamping down on your tender eyelid. Creates curls that last, which is surprising considering how quick and easy the curling process is with this curler. 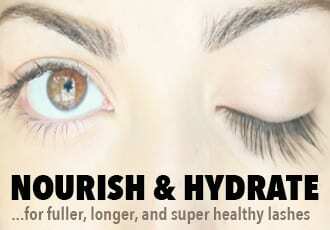 Still, one or two good pumps are enough to keep your lashes curled even after mascara. This was considerately created, with a red pad that lets you actually see your lashes as you curl - allowing for precision and less pinch-able moments. It's price-y. Considering you can pick up a mechanical type of eyelash curler for as little as a dollar, $17 for one curler does seem like a bit much. It only comes with one replacement pad and it's to difficult find new ones. It's not so great for flatter eyes as it has more of a curve. Despite its downsides, this is hands down one of the best - if not the best - eyelashes curlers out there. Yes, it's pricey. But this $17 curler will take your lashes further - and last longer - than a dozen $5 curlers will. Who it's best for: This one's perfect for almond shaped eyes as well as big eyes with long lash lines. In fact, it's pretty great for a huge range of eye shapes since the flatter curve allows for comfortable positioning right at the lash roots. Almond-eyed beauties, rejoice! Shiseido's eyelash curler is the only curler that you'll ever need. It has the perfect shape for almond eyes - the arch is not too rounded, featuring a more universal, flattened curve that allows you to position it right against your eyelid so you can curl directly from the root. But this one's not just for almond eyes - its design also makes it great for big eyes with wide lash lines. One super helpful design advantage is that Shiseido's lash curler is pretty wide, allowing for a really comfortable curl without risk of pinching your eyelid skin. The big clamp also covers all your lashes so you're able to quick curl all your lashes. At once. No more positioning the curler strategically around your eyes to try to curl them all. Hurrah to that! As for the curl, Shiseido produces a super natural curl that starts at the root of the lashes, giving your eyes an awake, doe-eyed openness with or without additional mascara. The fact that you're able to evenly curl all your lashes right at the base means you get a natural lift and curl without any crimping nonsense. Can't repeat it enough: the flatter curve is so useful for getting as close as possible to the lash roots and allowing for a truly natural, open-eyed sort of lift and curl. The wide clamp and flatter curve means it's much less likely to pinch eyelid skin or tear out eyelashes by mistake. The big clamp and edgeless design also means you get to grab all your lashes - even the little baby ones, allowing for a quick, even curl. Effortless curl. No need to press hard for keep it firmly clamped on your lashes, this curler's got amazing tension so it creates the strong curls quickly, without force. Creates curls that last pretty much all day, even after mascara. Comes with plenty of extra pads - the one on the curler, a spare in the box as well as two additional refill pads, so it'll last you awhile. A tad pricey. A drugstore eyelash curler will cost you around $5 so at $13, Shiseido's is on the expensive side, 'though still more moderate than other high-end eyelash curlers. The pads are thick and comfortable but they do wear down pretty quickly, especially if you're using the curler daily. Good thing it comes stocked with several. There's a risk of pinched eyelids if you're not careful - particularly the inner corners of the eye - since there's nothing limiting how deep you can position this curler. All in all, Shiseido's is a universally solid device that deserves a shining spot on the list of best eyelash curlers - it's great for pretty much every eye shape and creates effortless, natural, open-eyes curls that last all day! Who it's best for: Absolutely perfect for round eyes but also great for pretty much every eye shape that doesn't like to get pinched! 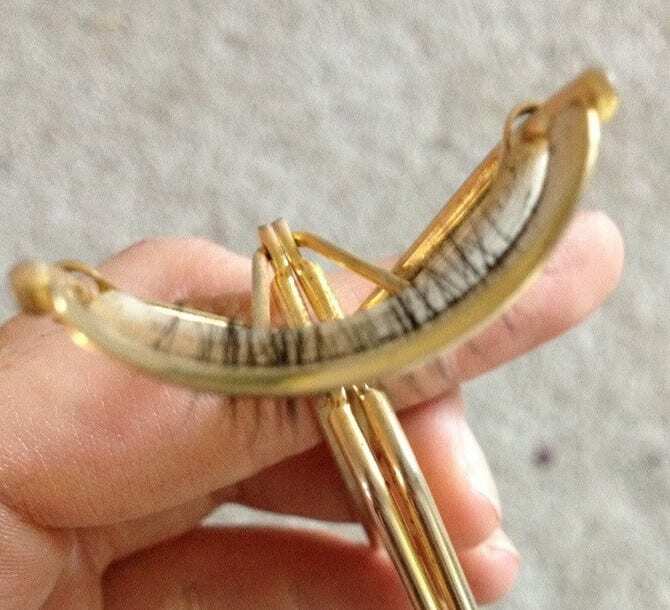 Ever felt like every lash curler you've ever used never quite 'gets' your lashes? Sure, a curler might do a good enough job with your center lashes but none ever manage to get all of them, especially the outer ones. If that's you - the Relevée just may be the perfect one for you. The distinguishing feature? The curvature is deeper while being less U-shaped than the average curler. It seems like such a simple thing but if you have round - or even protruding eyes - a little more curve can make a huge difference. Essentially, it's the difference between missing the lashes at the corners of your eyes and wrapping all the way around for a perfect, even curl. The Relevée curler allows for the latter to happen. And it's not just for rounder eyes - this curler is strangely effective for a range of eye shapes. 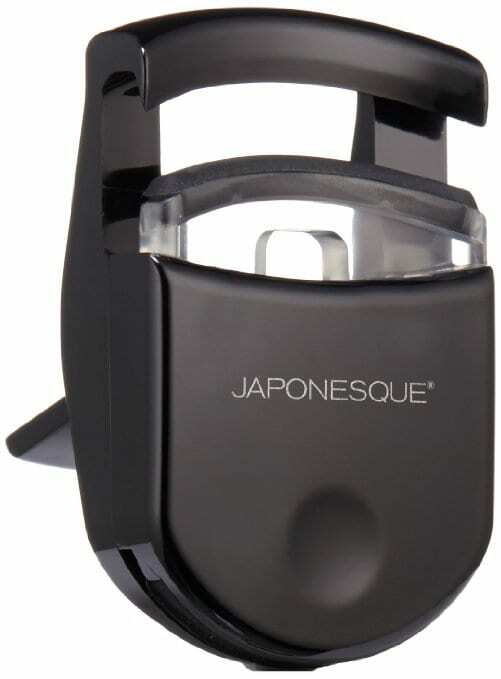 It's like the 'Traveling Pants' of eyelash curlers - it suits all types, thanks to its softer curvature. Less U-shaped, soft curves that are designed to seamlessly fit the arc of the eyelid. This curve is deep enough to perfectly accommodate big eyes and wide enough to be comfortable for a range of varying eye shapes as well. Absolutely no pinch. This is probably our favorite thing about this lash curler - it's gone out of its way to eliminate the pinch. 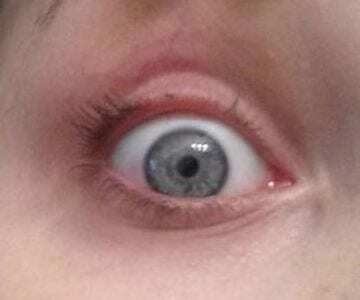 It's designed so that the only part that touches the corners of your eyes is the silicone pad, with the scary "squeezy" part set beyond that so that there's no way it can pinch your skin. Plump and round pads make for a super comfy, bouncy squeeze. The result? No more dreaded L-shaped curls - only perfectly rounded, sweeping lashes that last. The all-black coloring is sleek and beautiful...but it also makes it difficult to see your lashes and what you're doing. The biggest drawback of this curler is its price tag - at $30, it's amongst the priciest lash curlers around, even amongst the high-end range. Is the Relevée curler expensive? Yes. But is it worth it? Double - triple - yes. 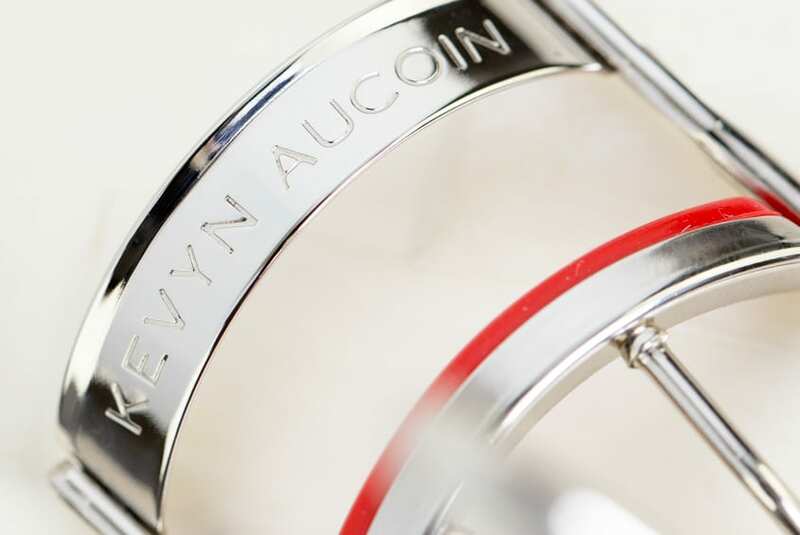 Who it's best for: People with almond-shaped eyes and smaller eyes will love this curler. 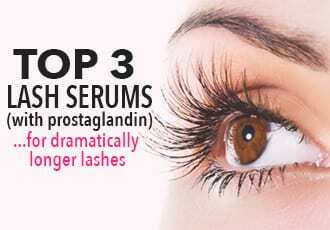 It's also perfect for those with stubbornly straight lashes. Can't seem to avoid that annoying, painful pinch with metal clamp curlers? 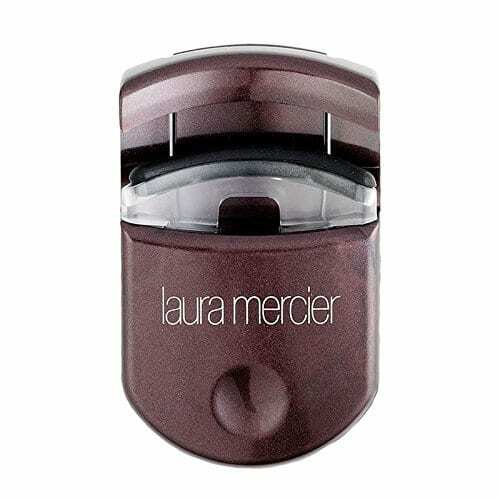 Meet this perfect little compact lash curler by Laura Mercier. It's cute, it's tiny, it doesn't pinch and it's positively springy - which creates great curls that last all day with or without mascara. 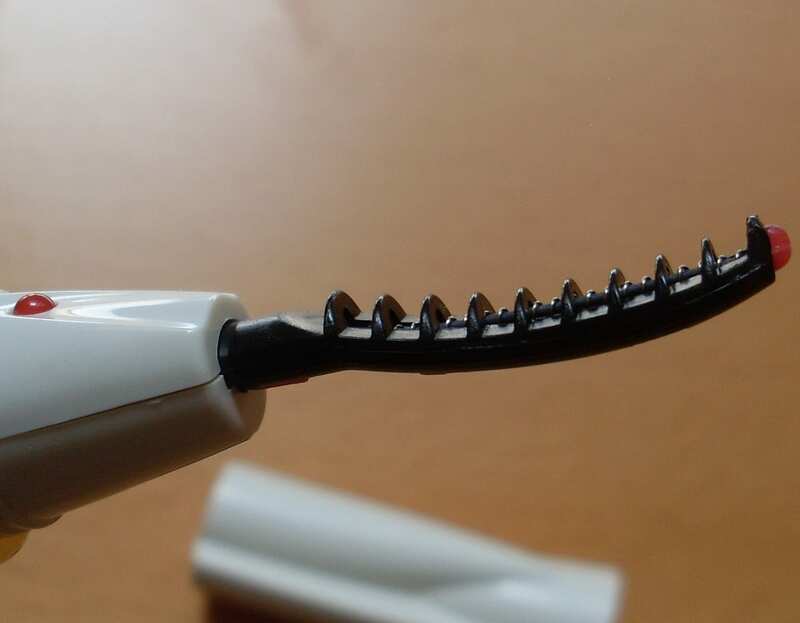 The thing is - this can create intense curls with just one or two pumps so if you don't like 'C' curls, press gently and concentrate your efforts on the base of your lashes and avoid the ends. Note: This curler is perfect for almond-shaped eyes but it's not the best for wider eyes as it'll be tricky trying to fit all your lashes into this smaller-than-average curler. It makes it hard to pinch yourself - go on, try it. Okay, well, it can be done if you try, but it's a lot less likely you're going to get pinched with this curler. Has a really great spring in it that creates good, lasting curls without much effort. Love intense curls that make it look like you're wearing fake lashes? They're easy to get with this curler - and they stay put throughout the day, with or without mascara. Seriously long lasting curls. It's the perfect travel lash curler - effective, takes up little space and doesn't stick out. If you love it, plan to buy a few. The sad thing about plastic curlers is that they're not meant to last - the plastic will crack within a year (maximum) and make it unusable. So you want to be gentle with this one - squeeze just a bit too tight and you'll be hunting for a replacement. Got wide eyes? This one's not the best curler for you and its small size can make it difficult to get all yoru lashes in the curler. The coloring is gorgeous...but the darker colors on the pad and curler do make it a tad hard to see what you're doing. 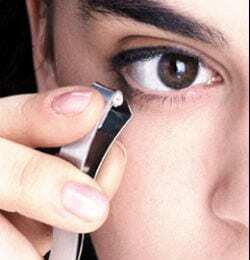 If you've never used a smaller lash curler, it can be a bit awkward at first. But you'll get used to it - it's like switching from a PC to a Mac, you just need to give yourself time to acclimate. 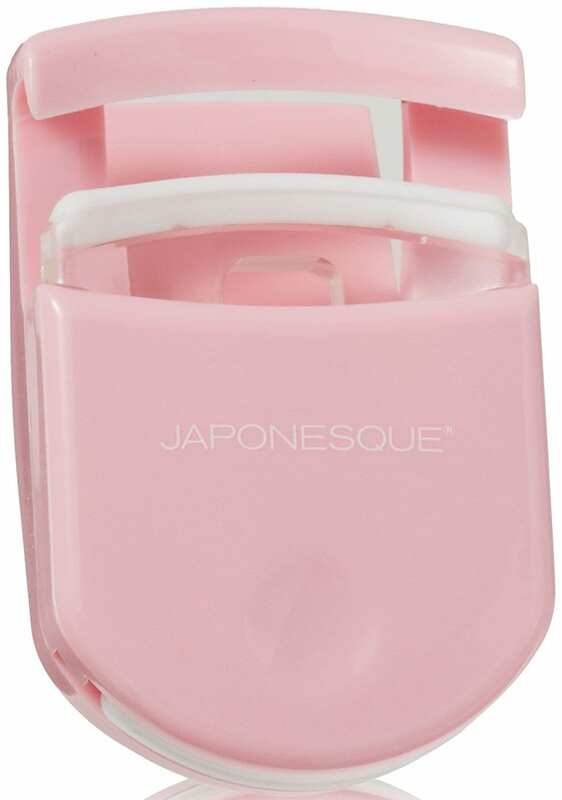 And overall, this tiny lash curler that packs a big punch is totally worth the adjustment phase! Love the small simplicity and curl-packing power of Laura Mercier's curler but want a better price tag? Lucky for you, Japonesque makes the same design with comparable benefits - and downsides - for a few dollars cheaper. The Go Curl curler is just as tiny, portable and springy enough to create gorgeous, long-lasting curls but it also comes with the same drawbacks - yes, this breaks easily as well and needs to be replaced often. It does, though, come in an adorable shade of baby pink that's not just awesome for vanity reasons, but also makes it a little easier to see what you're doing. All in all, a good, more affordable alternative to the Laura Mercier model. Who it's best for: Those who want dramatically swept-up lashes, before or after mascara. Suitable for every eye shape! Is it possible to have both dramatic and natural-looking lashes? It is with this heated lash curler. In terms of sheer power, the Eyecurl tops pretty much every heated lash curler on the market. It heats up super quick - like 15 seconds - and it heats up quite hot, especially when it's running on brand new batteries. That heat is what makes this curler amazing at producing dramatically swept-up curls in record time, but it can also be a bit much so be careful and don't hold this at the root of your lashes for more than a second or so. We especially like that this let you know when you're running low on batteries so you're not left trying to futilely curl your lashes without enough heat power. Oh, and thanks to the heat - the curl lasts a loooong time. 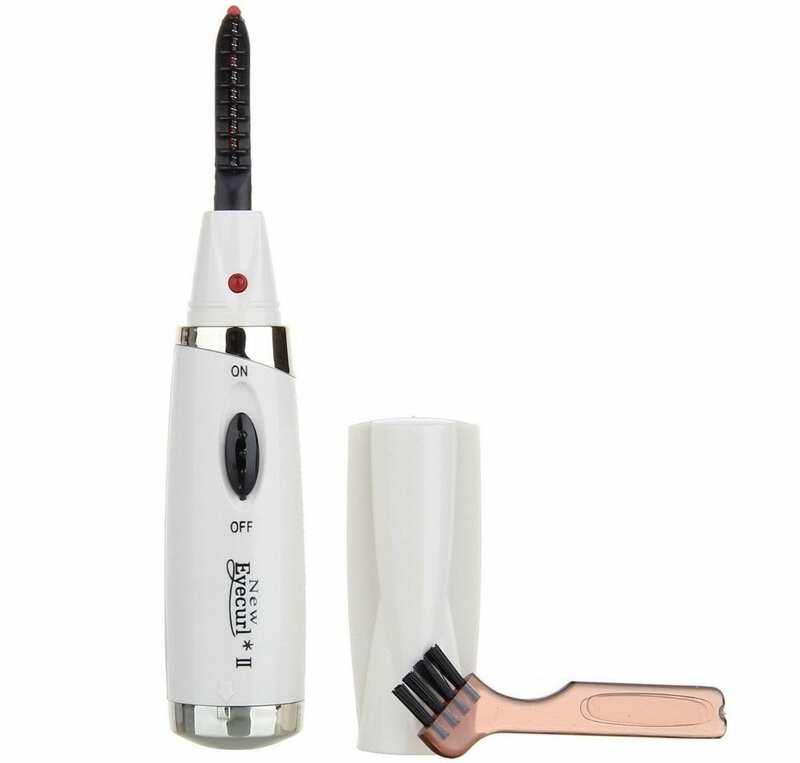 Perfect for fragile lashes since there's absolutely no pinch and no pull - there doesn't have to be 'cause this is a wand-style heated lash curler that curls your lashes without force. Great to get an extra lift after you apply mascara...and you don't have to risk damage or breakage. The heat simply warms up the mascara to allow an extra bend and then 'sets' the curl when the mascara hardens again. The curl last a good, long time - even in humidity. This thing eats up batteries. So get rechargeable ones and expect to replace them every week, especially if you're using the curler every day. It's a bit bulkier than other wand-style models, which can make it more bothersome if you're looking for something portable. Overall, this is a solid pick for creating both natural and dramatically curled lashes that last in just a few seconds! Who it's best for: Deep-set eyes, small eyes as well as anyone who's looking for the best eyelash curler for hard-to-reach lashes (including the lower lashes). When it comes to precision, you simply cannot beat the Preo Curl Up. 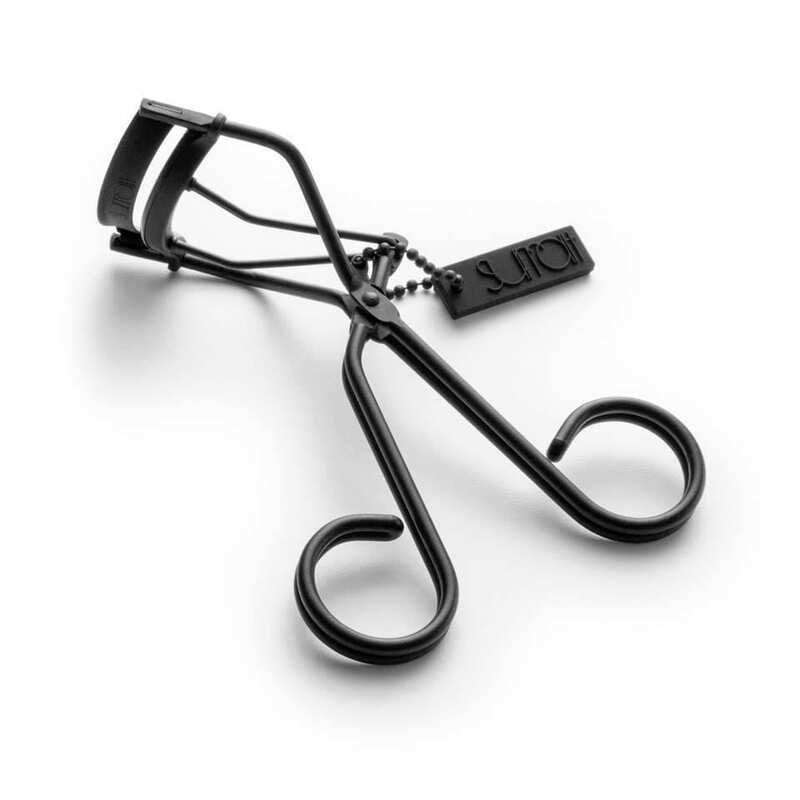 It's a better working version of Shu Uemura S Curl Eyelash Curler and in our honest opinion, it does everything the S Curl claims to do but doesn't follow through on. Keep in mind that this isn't your average eyelash curler - it's a mini, pinch-less curler that's designed to get to the places - and lashes - where most lash curlers can't go. This reach is what makes it so great for people with deep-set eyes, small eyes as well as those with lashes that curl inwards. Want to curl your lower lashes? Done. How about add a touch of curl to certain lashes to complement your falsies? Easily done. Need to even out the curl? It's a breeze with this curler. It's an ingenious device that fills in all the gaps that other eyelash curlers miss, including being able to curl lower lashes, individual sections of lashes, inward-curling lashes and hard-to-reach corner lashes. Works with every eye shape: small or big, deep set or protruding, it doesn't matter - you can use this to get to every last lash. No pinching. Thanks to the lack of sides, there's also no risk of pinch. Comes with plenty of replacement silicon rubber pads, 6 to be exact. It does require a learning curve and a bit of practice and experimentation to master. Curl too long or hard and you can risk crimping your lashes into that awful L-shape. Use a gentle touch with this curler and keep the 'press' short - a second or two is perfect. It's going to take longer to do all your lashes with just this curler since it's mostly intended to be used as a sectional curler. A good idea is to use a regular, full lash line curler and then get the hard-to-reach spots with this one. 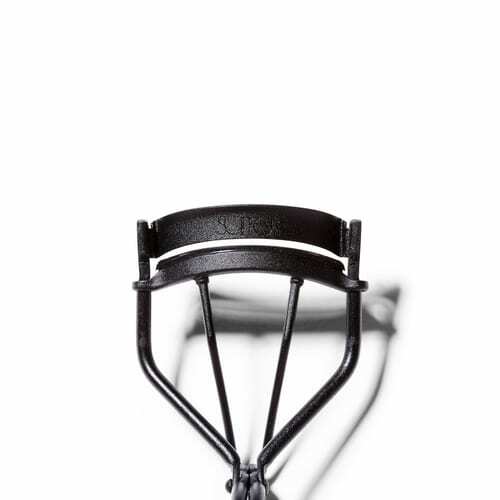 Overall, a must have for every one who has trouble finding the perfect eyelash curler to fit their eye shape!